JetBlue officially introduced a new JetBlue For Good aircraft on Giving Tuesday, celebrating the hundreds of thousands of hours JetBlue crewmembers have dedicated to doing good. Today in celebration of #GivingTuesday and JetBlue’s commitment to volunteerism and community service, the airline flew a plane full of do-gooders to “Destination Good,” the Dominican Republic. Winners of JetBlue’s #CheckInForGood contest were so committed to good, they agreed to join JetBlue on a volunteer trip during JetBlue For Good Month without knowing the destination. Volunteers arrived at New York’s JFK International Airport and were surprised with the reveal of the location just moments before boarding JetBlue’s newest special livery – JetBlue For Good. Nearly 100 volunteers including contest winners and their guests took off for the Dominican Republic to participate in a four-day service trip alongside some of JetBlue’s crewmembers and non-profit partners, with projects taking place in La Romana and Punta Cana. JetBlue is the largest airline serving the Dominican Republic since it first started service to the island destination in 2004. The Environment – In collaboration with Fundemar, an organization dedicated to the conservation of marine ecosystems of the Dominican Republic, volunteers will assist in building 65 buoys that will protect coral reef beds. Coral reefs are gravely threatened by climate change and other pressures such as marine pollution. In 2012 FUNDEMAR started a program of coral reef restoration, which includes coral nurseries, rescue centers and transplant zones, as a mechanism to promote the coral’s resilience to climate change. 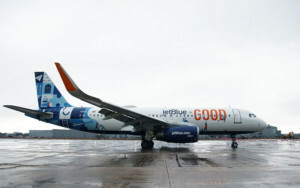 The new JetBlue For Good branded aircraft – Good is in JetBlue’s DNA. At the center of the plane’s paint scheme are sketches of crewmembers who power JetBlue’s mission of Inspiring Humanity® each day. Designed by a cross-section of crewmembers representing the airline’s mission, the plane showcases JetBlue For Good’s three pillars. Heart: The airline’s Caring and Passion values. 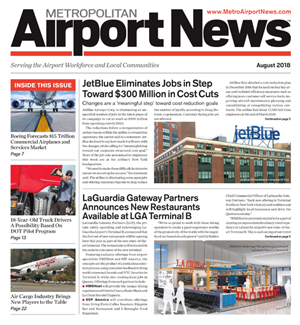 Ladder: Everything laddering up to JetBlue’s mission-driven purpose. Seesaw: JetBlue For Good’s pillars. Test Tubes, Computer Code, Magnifying Glass, Backpack, Paper Airplane, Pencil: Represents the airline’s and the JetBlue Foundation’s focus on nurturing the next generation of aviators with in-kind support, mentoring, internships and other initiatives. Star: Showcases the unique opportunities JetBlue creates to help fulfill dreams through partnerships with organizations like Make-A-Wish. Books: Through its Soar With Reading program, JetBlue has provided more than $3.1 million of books to kids in areas known as book deserts, areas where children have limited access to books. 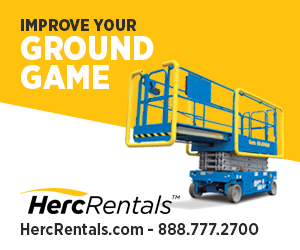 Hammer, Shovel, Swing: Over the past 12 years, JetBlue has built 29 playgrounds together with its partners at KaBOOM! Shoe: Represents the many charity walks, runs, bike rides and parades JetBlue’s crewmembers proudly participate in each year. Puzzle piece: Represents JetBlue’s Blue Horizons for Autism initiative, in which crewmembers help individuals with autism better prepare for future travel. Environment Recycling decal: Showcases JetBlue’s commitment to onboard recycling. Growing plants, Leaf, Flower/Rain: Encourages a healthy planet through programs like GreenUp™. 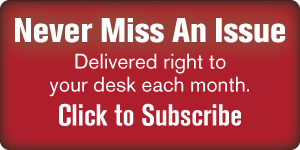 Coral Reefs/Ocean Clean Up: Inspires support for and preserving natural resources to keep our business running smoothly. JetBlue launched its second annual #CheckInForGood contest in October, inviting U.S. customers to #CheckInForGood for the chance to roll up their sleeves and volunteer with JetBlue and its non-profit partners Destination Good – an undisclosed mystery destination. The contest received more than 40,000 entries from customers who were eager to share why doing good and volunteering is important to them. 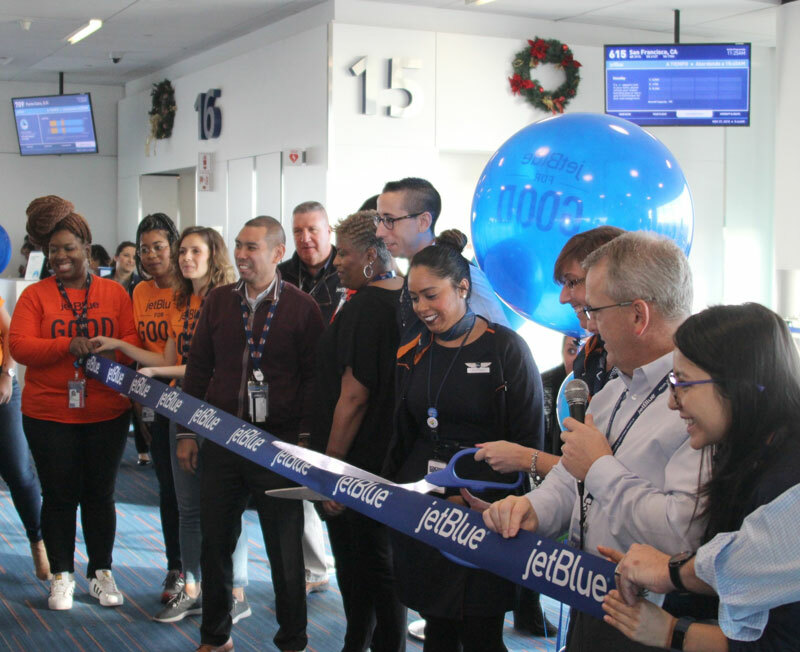 JetBlue today unveiled a new JetBlue For Good branded aircraft, which made its inaugural trip to “Destination Good” in the Dominican Republic on Giving Tuesday with a plane full of winning volunteers. 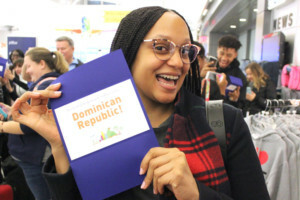 JetBlue reveals the surprise location of Destination Good as the Dominican Republic to its nearly 50 #CheckInForGood contest winners and their guests at JFK International Airport Terminal 5 on Giving Tuesday. Just moments later, they boarded the new JetBlue For Good aircraft to embark on a four-day service trip to volunteer alongside the airline’s crewmembers and non-profit partners. All-inclusive accommodations for Destination Good volunteers in the Dominican Republic are being provided by Paradisus Palma Real Resort in Punta Cana.